John is responsible for sourcing and analyzing new opportunities as well as managing the due diligence processes. He manages KEC Ventures’ investments in Bauxy, an out of network reimbursement platform for healthcare product and service providers, as well as FireBlade, Innovaci, Jump Ramp Games, KidAdmit, Rocksbox, and TinyBop. 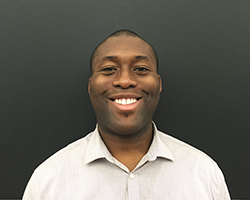 Prior to joining KEC Ventures John was a systems engineer at the New York Stem Cell Foundation (NYSCF) where he built inventory management and incubation software to automate the cell reprogramming process. John holds a bachelor of science in Engineering Sciences from Harvard University where he specialized in Bioengineering. Prior to NYSCF, John held roles at Morgan Stanley and OC&C Strategy Consultants. A native New Yorker, John is an avid Giants, Nets, and Yankee fan.